Managing your weight can be a challenge; we know there are long-term health benefits to eating well and moving our bodies—no matter what the scale may say—but it can be discouraging if you’re working hard and not seeing results. Infuse your weight management plan with these essential tips to boost your efforts. If a new weight management program is on your agenda for 2019, check out our Slique in 60 challenge below! Kick-start your metabolism with a healthy breakfast! If you’re looking at a weight management success story—with or without essential oils—you’ll find they all have one thing in common: committed, healthy choices. Beginning your morning with a conscious, healthy decision sets the stage for continued positive choices all day long. Try starting with an overnight chia bowl! Another way to use Young Living essential oils for weight management is by boosting your water intake. A drop of your favorite Vitality™ essential oil can motivate you to drink more water throughout the day. Grapefruit Vitality essential oil supports weight management when used in conjunction with healthy eating and regular exercise, has cleansing properties, and can support your lymphatic system*, making it a perfect option for your water bottle. 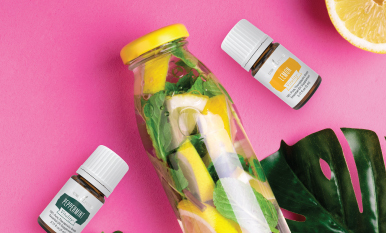 Or you can find your favorite, like Lemon, Lime, Peppermint, or Citrus Fresh™, or create a combination that inspires you to take more sips of H2O all day long. When it’s difficult to resist something sweet or salty, opt for a healthy alternative to candy bars and potato chips. 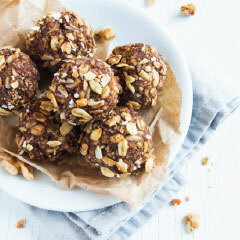 Try these essential oil-infused chocolate energy balls or apple chips, or seek out recipes to swap healthy ingredients into not-so-healthy recipes. Cut down on refined sugars and other bad-for-you ingredients by opting for Einkorn Granola for breakfast or a Chocolate-coated Wolfberry Crisp™ Bar for your afternoon snack. Everything is easier when you have a support system, and that includes managing your weight. Invite a friend or group of friends to join you on your journey so you can all see better results together by keeping each other on track. Share results, discuss setbacks, and renew your resolve with a group of people who are as motivated as you are. This support network can be invaluable as you go through the ups and downs of your weight management plan as they help you stay accountable and focus on your goals. Young Living’s Slique system is formulated to promote healthy weight management. * Slique® CitraSlim™** includes a proprietary essential oil blend for weight management, which some studies suggest may help support the body in burning excess fat when used in conjunction with a balanced diet and regular exercise. The proprietary blend may also support the release of free fatty acids, which may help break down fat. 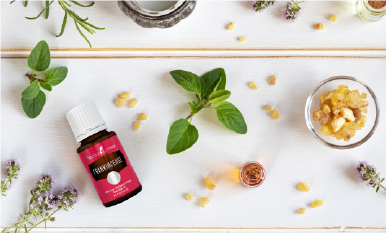 * Young Living’s Slique product line also includes Slique Essence™, Slique Shake, Slique Tea, Slique Bars, and Slique Gum—a whole Slique system to support you in your weight-management goals! 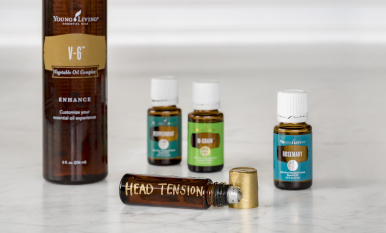 If weight management is on your agenda, check out our posts on using essential oils for athletes and 15 ways to feel more powerful. Empower your journey! What tips and tricks do you have to help maintain a healthy weight?